A sluggish economy like the one we’re now facing has many potential repercussions for businesses: slower sales, less revenue and lower profits, to name just a few. Another one that doesn’t always occur to CEOs and CFOs is a higher potential risk of internal fraud and embezzlement. When times are tough, it’s easier for some employees to consider perpetrating acts of fraud against their employer that they might not even think about if not facing severe personal financial challenges and stress. The cost of fraud can be devastating to a small or mid-sized business. The median business loss due to occupational fraud over the past year was $140,000, reports the Association of Certified Fraud Examiners 2012 Report to the Nations. Almost half of businesses that are victimized by fraud do not recover any losses, and the smallest organizations in the ACFE study suffered the largest median losses. Interestingly, the vast majority (87 percent) of fraud perpetrators are first-time offenders with clean employment records. This is another indication of the impact that the slow economy is having on many families—and unfortunately, driving some employees to commit embezzlement against their employers. “But not my employees,” you might be saying. “I know them well—they would never steal from the business.” Unfortunately, embezzlers often turn out to be long-time, trusted employees whom CEOs would never suspect of stealing. Pressure — This refers to often-severe personal circumstances that convince employees that stealing from their employer is the best solution to their financial problems. Overwhelming debt, large gambling losses, unexpected medical bills, home foreclosure and substance abuse are a few common examples. Opportunity — Even with pressure and rationalization, employees must be presented with the opportunity to commit fraud before they can actually make it happen. These opportunities are presented when businesses fail to institute proper internal financial controls. While you have little if any control over the financial or other pressures your employees may be facing or their ability to rationalize theft, you do control what kinds of opportunities they may have to commit fraud. Therefore, one of the best ways to reduce your company’s exposure to fraud risk is to implement sound internal controls in your business. The first step is to make sure there is a proper level of management oversight of your company’s finances. Some CEOs take a hands-off approach to financial management, letting their financial and accounting staff handle all the details and rarely (if ever) looking at the books. This is one of the biggest mistakes a CEO can make, as it sends a message to staff that they have little to worry about if they decide to commit fraud. CEOs should maintain at least a minimum level of personal oversight of the business’ finances. This could be as simple as looking at the bank statements each month and personally signing all checks, instead of letting accounting staff use a check stamp. These two steps alone will go a long way toward sending the message to staff that management is serious about financial oversight and fraud prevention. Another key internal control measure is to segregate financial duties among the accounting staff. In other words, different employees should be responsible for different financial and accounting tasks (like filling out deposit slips and entering cash receipts) to make it harder for one employee to cover his or her fraud tracks. We’ll discuss this and other internal control measures in more detail in next week’s article. It’s critical that Los Angeles and Southern California CEOs and CFOs implement sound internal controls in order to guard against fraud and embezzlement. Otherwise, they could find themselves the unwitting victim of fraud schemes that could potentially cripple their business. 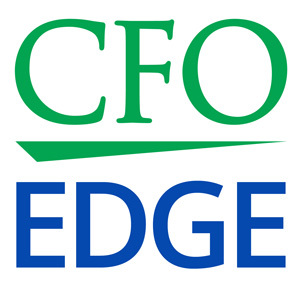 An outsourced CFO services provider can offer valuable assistance by helping spot potential areas of weakness and recommending control measures to shore them up.